So, October is -almost- over, and that means that it's time for a brand new "inspirational pictures" post! Photos that inspired me and made me fall in love with fashion even more, are all -okey, maybe not all of them, but at least some of them-, gathered in this post. All YOU got to do is to just take a look, and get inspired! Here's a fresh and chic outfit for fall! If you own a dark orange-ish blazer, then you can totally recreate it...! I seriously can not decide, which one is better... 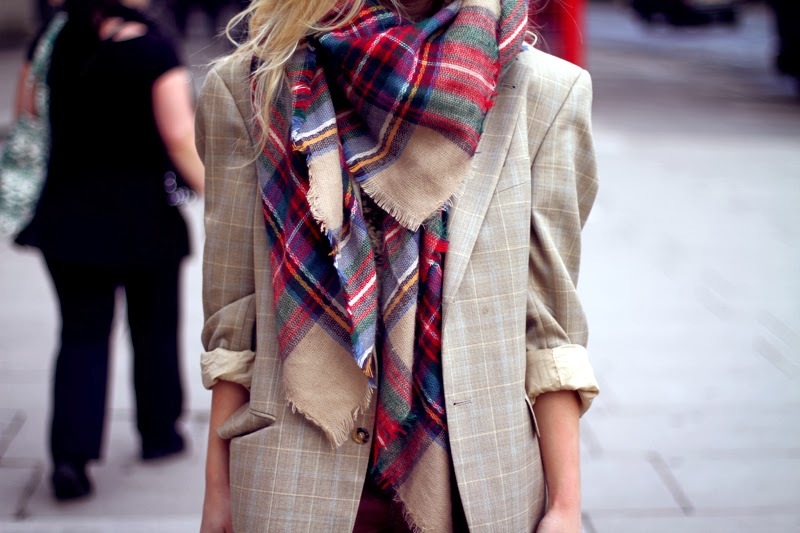 The oversized scarf or the boyfriend blazer...?! Mix black and white with grey and denim, and there you have it...! A simple, yet so stylish looking outfit...! Don't know what colours are fall-appropriate...? Just go for brown and grey and you 'll definitely fall in love with the result! Hats during the winter...? YES PLEASE...! It's always those little details that make a HUGE difference! Isn't it...? Looking for a new and creative way to style your favorite plaid shirt...? Instead of tying it around your waist, just tie it around your bag's strap! Pretty cool, huh...? I really hope you all enjoyed reading today's post! You can check out my previous "Inspirational Pictures" posts here and here! Don't forget to follow "Just Smile With Style" on bloglovin, and of course to take care...! They definitely weren't meant to fit perfectly, but they totally meant to look chic and classy! 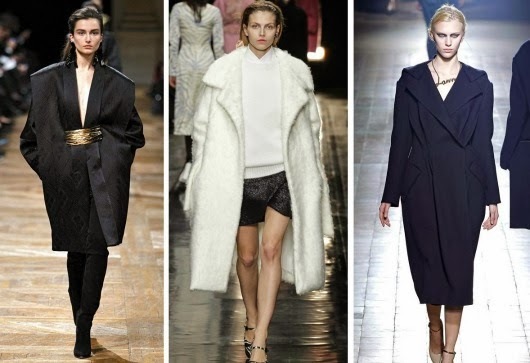 "Oversized coats" are really in right now, since they were all over the autumn/winter shows. They could be worn with a pair of denim or leather pants for the daytime, or with a sophisticated formal dress/skirt, during the night. 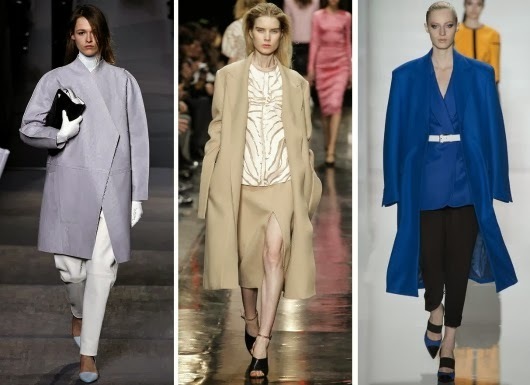 Lastly, if you are a tall girl you can totally rock this trend, but if you are petite you might have to reconsider before trying it, since you don't wanna end up looking like you are being swallowed by the coat, cause YOU should be the one wearing the coat, not the opposite! But again, you can never really say for sure, unless you actually try it! If you need some ideas on how you can style an oversized coat, then just take a look at the following pictures! I am pretty sure that we 've all experienced at least once the following situation: it's early in the morning, we 've just got out of bed and we start getting ready... But, when it's time to figure out what we are going to wear, we just stand in front of our closet, staring at our clothes, thinking: "I have no idea what i am going to wear" or "I have absolutely nothing to wear"! Well, today i am gonna write about "what to wear when you don't know what to wear" and how to deal with those tough days, in general. The most important thing you got to keep in mind is to just: "Keep it simple". And by simple i mean: stick to neutral colours -like black and white-, and basic fabrics, like (blue) denim! 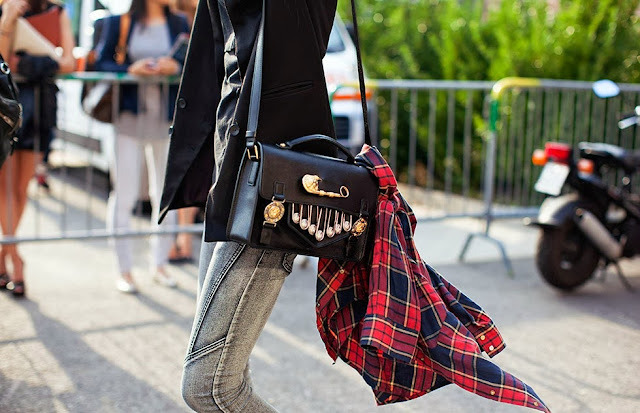 I am sure that we all own a black/white top, blazer, handbag, a denim shirt and a pair of blue jeans. So, all you got to do is to just mix these together in order to create an effortless, yet super-stylish-looking outfit! So, the next time you say: "I don't know what to wear", just repeat these three words: Black, White, Denim... Black, White, Denim..., and your problem will be instantly solved! Wanna get some ides on how YOU can mix and match black, white and denim...? Then, just get inspired by the following pictures! Don't forget to follow "Just Smile With Style" on Bloglovin, loves! As most of you might already know, October is National Breast Cancer Awareness Month (NBCAM), which is an annual international health campaign thats aims to increase the awareness of the disease. But, even though most people are aware of breast cancer, many forget to have a plan in order to detect the disease in it's early stages, since early diagnosis is key to dealing with it. Also, since pink is the cause's signature colour, "Go Pink For October", is another effort to raise awareness for breast cancer. So, with all that being said (...written actually...), here are some fun and stylish ways that you can style this lovely colour! For more information feel free to visit the following websites: http://www.nationalbreastcancer.org/ and http://pinkforoctober.org/. Thank you all so much for reading! Please don't forget to follow "Just Smile With Style" on Bloglovin and of course, to GO PINK! I haven't written an "a/w 2013-14 trend" post in a while, plus, i' ve never actually uploaded a "shoe trend" post before, so today i thought it would be a great idea to write about the hottest shoes of the season: "the thigh high boots"! Thigh high boots were mainly spotted at the Chanel/ Balmain/ Emilio Pucci and Donna Karan runway shows, where the models rocked a pair of black or brown boots. If you need some ideas on how you can style your favorite pair of thigh high boots, then get inspired from the following outfits! Thank you all so much for reading this post...! Also, don't forget to follow "Just Smile With Style" on Bloglovin...! Every time i think of summer's accessories, the first two things that come to my mind are sunglasses and hats. Hats are super necessary for the summer time, since they protect your hair and skin from the sun. 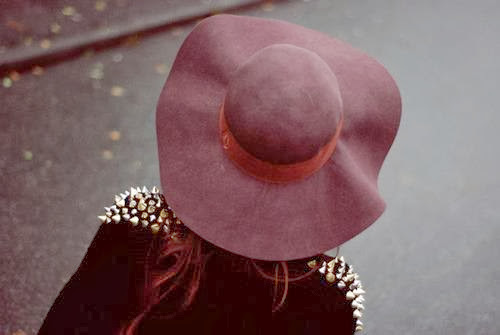 But, who said that you can't rock a hat during the winter...? Well, you surely can, since they will keep you warm and cozy, plus, they will add an extra "something" to your outfit! 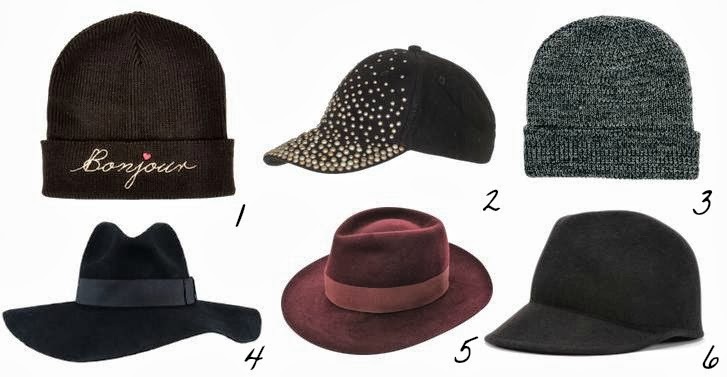 If you don't own a winter hat, then i suggest buying a fedora, a beanie or even a baseball cap! As for colours, you can go for black, burgundy, navy blue, grey, or you can totally try something slightly different, like hot pink or even bright orange! 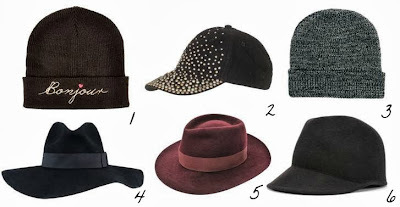 Lastly, a hat will look great with a casual and everyday look, but with a formal one, as well! That's all for today's post! I truly hope you enjoyed it and find it helpful! Also, don't forget to follow "Just Smile With Style" on Bloglovin! So, summer is officially a part of the past now, and it's that time of the year again where you have to put away all of your summer clothes and bring out the winter ones. Or NOT...?! Well, the truth is that a lot of your summer basics could totally be worn during the fall, as well! It's a creative, practical and budget-friendly procedure (especially for students -like me-). Pretty cool, huh...? 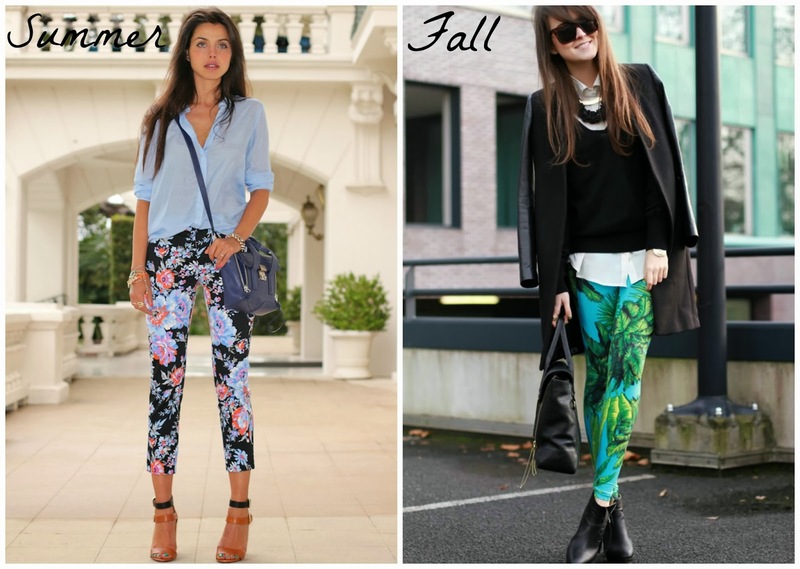 So, here are some tips and tricks for bringing your summer wardrobe into the fall! During the summer we wore them with everything: a plain top and a pair of flats/ a formal shirt and a pair of gorgeous ankle strap heels etc. But, during the fall the first thing you wanna do is put on a pair of black (opaque) tights, then choose your favorite cropped sweater from your closet, and at last, finish your stylish outfit with a pair of oxfords or ankle booties. So easy, so chic! Floral print is a must for the summer time, but who said that your can't rock your beloved floral pants when the temperature drops..? The key is to just keep it simple, by adding some black and white touches to your outfit. So, floral pants during the fall...? YES please...! 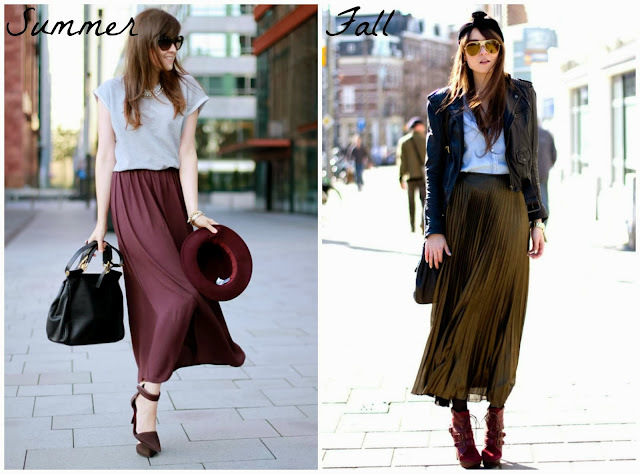 The piece that almost every fashionista rocks during the summer time: the maxi skirt. It's girly, chic and playful! If you wanna wear your favorite maxi skirt in the fall, all you need are some wardrobe essentials: a denim shirt, a (faux) leather jacket and a pair of ankle booties. The result looks edgy, yet super feminine! 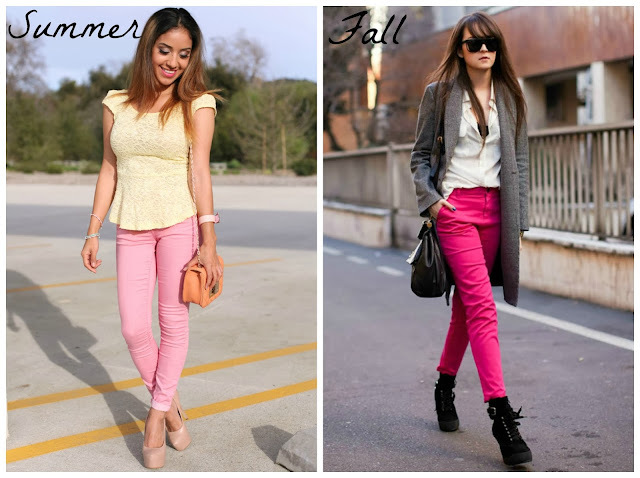 Coloured pants are a great alternative to your everyday blue jeans, and you can totally wear them in the fall, as well. If you own a pair of hot pink denim pants, pair them with a grey -oversized- coat (a zebra-printed/striped one will work too), add a white blouse, and finish your look with a pair of lace up ankle boots, for a fresh and chic result! P.S. Don't forget to follow me on my Google+ account!